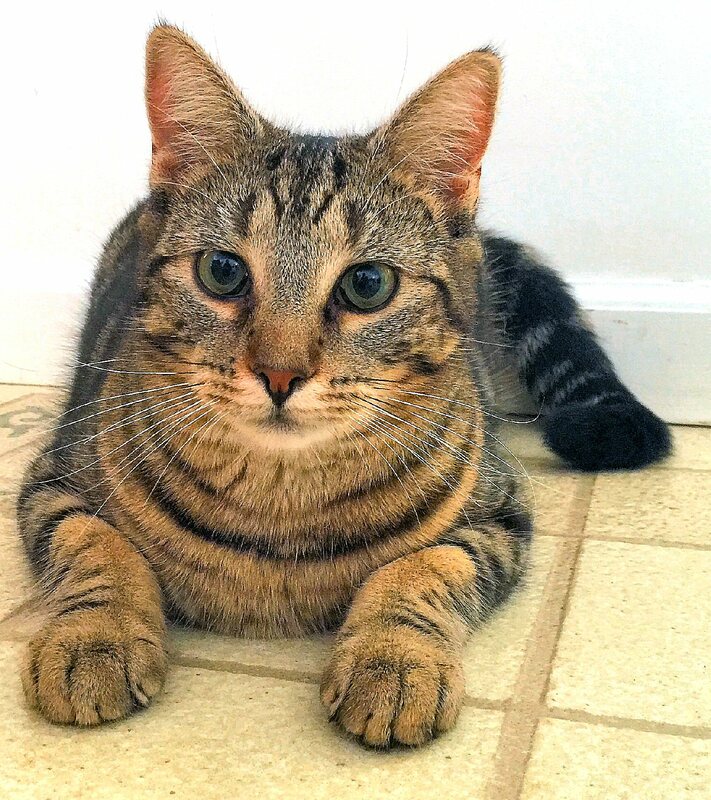 OSWEGO, NY – Cayleigh is a sweet, playful, and friendly little tabby girl. She loves to sleep in the bathroom sink and runs around like a lunatic chasing the laser light. Her favorite toy of all time is hair ties! You got it; preferably used. She carries them around her foster home meowing with delight and hides them everywhere. Either lock yours up or resign yourself to having to buy extras. She is fine with other cats and dogs and not shy around strangers. In short, she’s terrific if you’re not fussy about your hair ties. Or the occupant of your bathroom sink. She does like to go out once in a while, but she lets you know by yelling at the door. Please call our office at 315-207-1070 during business hours or email anytime to [email protected] for information on adopting her. Go buy some hair ties and you could have your very own warm and snuggly playmate. Meet some of our adorable, cuddly, elegant and perfect cats at the Be My Valentine Adoption Day, February 14 from 11 a.m. to 4 p.m. at the PetSmart store at Lowe’s Plaza in Oswego.